In 2010, Dr. Pamela Munster mailed her saliva to 23andMe, a relatively new DNA testing company, and later opted in for a BRCA test. As an oncologist, she knew a mutation of this gene would put her at high risk for breast and ovarian cancer. She was relieved by the negative result. Two years later, after she learned she had breast cancer, she took a more complete genetic test from a different lab. This time it was positive. A study released earlier this month suggested that this experience could be widespread. Nearly 90 percent of the 100,000 participants, who carried a BRCA mutation, would have been missed by 23andMe’s test, geneticists found. The finding has ignited a debate about the risk and value of online health tests. 23andMe’s testing formula for this risk is built around just three genetic variants, most prevalent among Ashkenazi Jews. The new study demonstrated that most people carry other mutations of the gene, something many doctors have long suspected. “It’s as if you offered a pregnancy test, but only the Jewish women would turn positive,” said Dr. Munster, who is the co-leader of the Center for BRCA Research at the University of California, San Francisco. She was not involved in the new study, which was conducted by Invitae, a diagnostic company. 23andMe said response to the study by its potential competitor had been overblown because the site makes it clear that it is testing only for three of the mutations. Dr. Munster said that 23andMe was “not doing anything actively deceptive.” But she is still concerned that many customers do not grasp the limits of mail-in genetic testing. 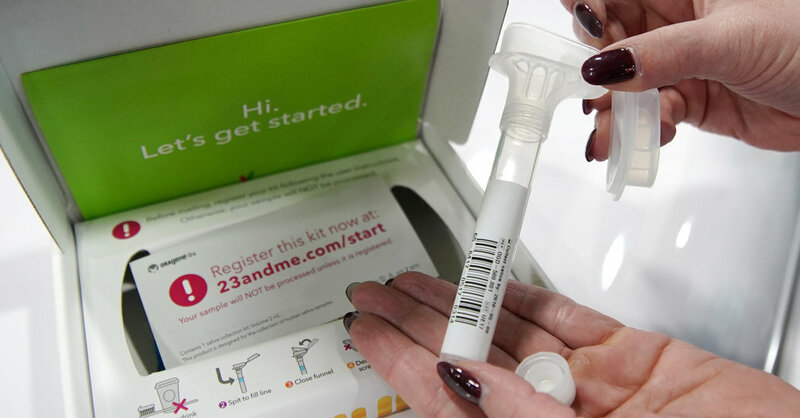 23andMe now has more than 10 million customers. Even if only a small percentage take the test, that’s thousands who could be misled. Mary-Claire King, a professor at the University of Washington who discovered the region on the genome that became known as BRCA1, had a more blunt assessment of the Food and Drug Administration’s decision to allow the test. Dr. Green said that limitation is not necessarily a problem. Dr. Jeffrey Pollard, 23andMe’s director of medical affairs, said that the company’s focus was far from arbitrary. Do online genetic tests also give false positives? In nearly half of the patients, Invitae could not confirm the presence of a mutation. That means that had these patients not taken a second test, they would have gone on thinking that they were at greater risk for inherited cancer than they really were. A positive result can be a major life event: Some people may opt to get a preventive mastectomy or hysterectomy. Others may increase the frequency of their doctors’ visits or alter other habits. Another small study published last year produced similar results for other inherited illnesses. Forty percent of individuals who tested positive for genetic variants associated with Parkinson’s disease, late-onset Alzheimer’s disease and a number of other diseases using mail-in genetic tests were negative in a confirmation test. So why offer online genetic health tests? One of the primary arguments for genetic testing that does not involve a physician is that it reaches people who would not do it otherwise. Around one in 25 American adults has now taken an at-home ancestry test. Regardless of who does the test, talking to a genetic counselor is advisable, Dr. Klugman said. Genetic counselors can help patients make sense of their results, and sometimes they sniff out incorrect findings. In 2017, for example, a genetic counselor was skeptical of tests showing that two patients from a family with a history of Lynch syndrome, which increases the risk of several types of cancer, did not carry the mutation. Retesting showed they did. In that case, the faulty results could not be blamed on a mail-in test: Invitae, the company behind the recent studies, produced the incorrect results. In an email last week, the company said that it had corrected the reports and learned from the mistake.